Say it ain't so, Justin. Justin Bieber has come a long way from when he used to be the laughing stock of the music industry. Sure, he still has his critics, and lots of them, but the general consensus these days is that the guy makes pretty great music. The only issue is that he doesn't do it often enough. 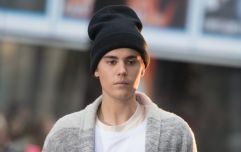 He featured on the song 'No Brainer' with Chance the Rapper, Quavo and DJ Khaled in the summer of 2018, but these brief features are all we've got from the Biebs in the past while. His last album, Purpose, came out all the way back in 2015, and since then fans have been craving a proper project from the Canadian superstar. And although it was seriously teased that his fifth album, which was rumoured to be titled JB5, would be coming out this year, a recent interview with Vogue has seemingly put those theories to bed. "Just thinking about music stresses me out," Bieber said. "I’ve been successful since I was thirteen, so I didn’t really have a chance to find who I was apart from what I did. I just needed some time to evaluate myself: who I am, what I want out of my life, my relationships, who I want to be—stuff that when you’re so immersed in the music business you kind of lose sight of." In the interview, the 25-year-old discusses married life, his success, and many other things, including certain low points in his life.